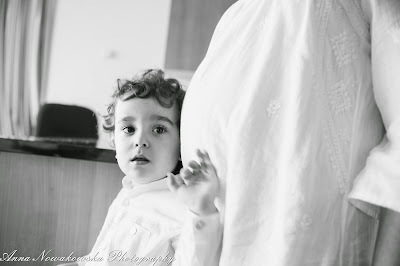 Family Photography | Anna Nowakowska | Portrait, Maternity; Baby Photosession: Baby portrait and maternity portrait. Dublin. Let me start by saying the most cliche thing you will hear - Photography has always been a part of my life and certainly my biggest passion. I am a mum to two beautiful girls, who had inspired me to fulfill my talent. And that you'd probably hear few times already too:)But it started a lot earlier for me when I became obsessed with taking pictures of other little bundles of "sweet joy". I would photograph my nephews and nieces baby cousins: everything, from their first smile to the way they would stick out the tongue when would discover something new. I set up my in home studio to take pictures of my daughters, soon friends and family were asking me to take photo's of their little ones...and Matchbox Family Photography was born. My main focus is newborn and baby photography. I loved looking at my kids newborn photos and wanted to share those same feelings with other parents. There is nothing more tender than looking at that brand new baby and those special moments which capture the innocence of pure love that your new baby has brought. Such a little person with so much affection and adoration will be captured and will evoke your first memories which go by so quickly. They say time goes by fast and indeed, they grow too fast. Photographing newborn babies is one of the most rewarding changes I have made in my life. I hope that you all embrace my style of photography that is simple, natural and exude my love of newborn photography.